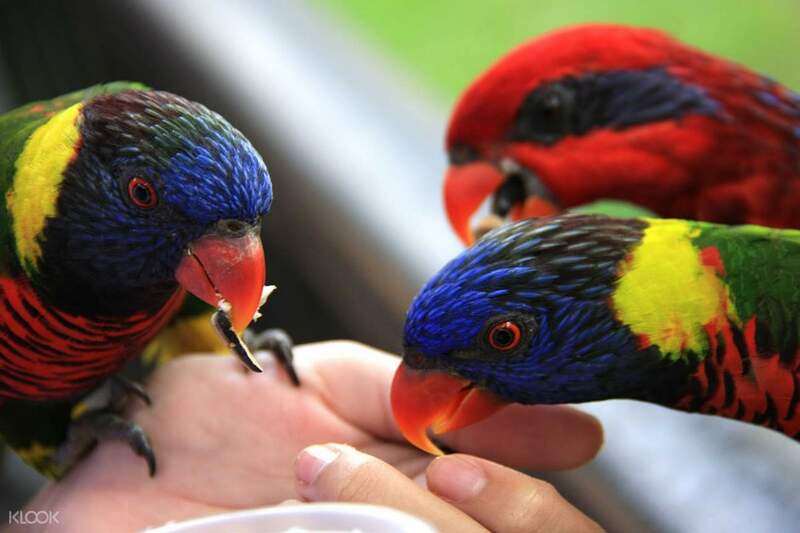 Visit the largest bird park in Thailand housing more than 100 bird species from Asia, Africa, and South America! Watch macaws, hornbills, eagles, and lovely owls exhibit their intelligence in an impressive bird show! Avail private transfers between Phuket and major attractions for more exploration in the city! Beautiful bird park with amazing birds show that lasts about 40 minutes. 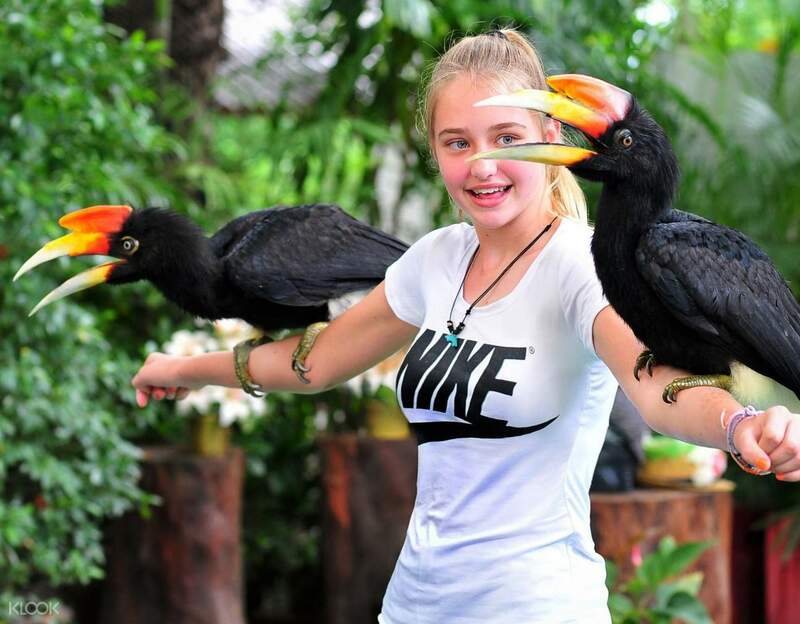 See the largest bird park in Thailand housing more than 1,000 birds and over 100 exotic bird species from Asia, Africa, and South America! Spread your wings and take a wildlife tour in bird paradise surrounded by beautiful gardens, cascading waterfalls, and lush greeneries. Meet a macaw, hornbill, parrot, ostrich, even an owl up close and personal in this interactive experience in the wild. Have them perch on your shoulder or arm and even have them eat out of your hand! Marvel at the diverse and colorful community of birds coexisting in a beautiful recreation of their natural habitats. On top of this, enjoy an impressive bird show where various species exhibit their skills and knack for entertainment. Watch them spell words and solve math equations in an incredible display of intelligence and agility. Don’t miss out on this must-visit place on the beautiful island of Phuket! 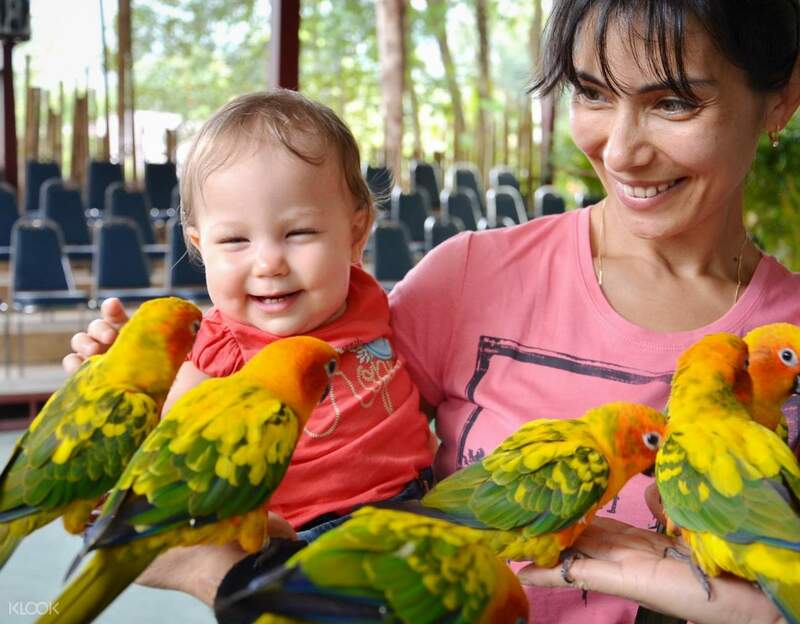 Even babies can get the most out of this interactive wildlife experience! The park is very large. The area is very well-groomed, many different birds, you can even feed them. very interesting bird show program. I advise everyone . The park is very large. The area is very well-groomed, many different birds, you can even feed them. very interesting bird show program. I advise everyone . The bird show is good, can feed rabbits, emu and sheep inside the bird park. We enjoyed feeding the parrots and birds most. Many toilets inside, good for old aged people. The bird show is good, can feed rabbits, emu and sheep inside the bird park. We enjoyed feeding the parrots and birds most. Many toilets inside, good for old aged people. It was a good tour but the phuket bird park was really small but its fine because we knew that its not really Big like a zoo. And one thing the show that helds by your staff we dont actually understand the way she speak. But it doesnt matter the important thing was the talent of the birds. 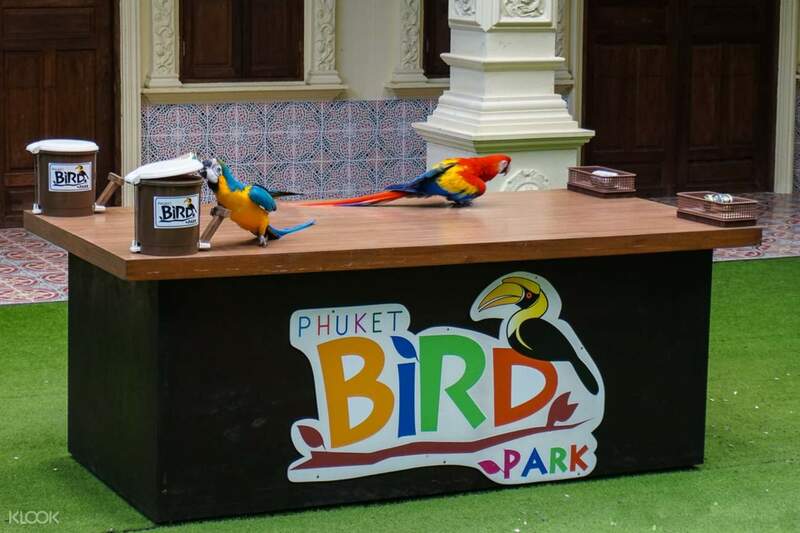 It was a good tour but the phuket bird park was really small but its fine because we knew that its not really Big like a zoo. And one thing the show that helds by your staff we dont actually understand the way she speak. But it doesnt matter the important thing was the talent of the birds. Small bird park but good fun and great place for kids. Small bird park but good fun and great place for kids. The park took about an hour to walk around and was well shaded by the tropical trees and plants. There was an impressive display of birds and even crocodiles, rabbits and goats. Do expect to have some extra money available to pay to feed different animals - 100TBT each time. Our 3 kids absolutely loved feeding the parrots. You can have your photo taken with some of the bigger birds, like the Macaws for 200TBT and will be provided with a Polaroid photo. The park is steep in areas, so wear good walking shoes. The bird show was impressive and interactive, but again you may need extra money to experience up close encounters. At the end our kids enjoyed feeding some enormous fish. We would recommend this park. The park took about an hour to walk around and was well shaded by the tropical trees and plants. There was an impressive display of birds and even crocodiles, rabbits and goats. Do expect to have some extra money available to pay to feed different animals - 100TBT each time. Our 3 kids absolutely loved feeding the parrots. 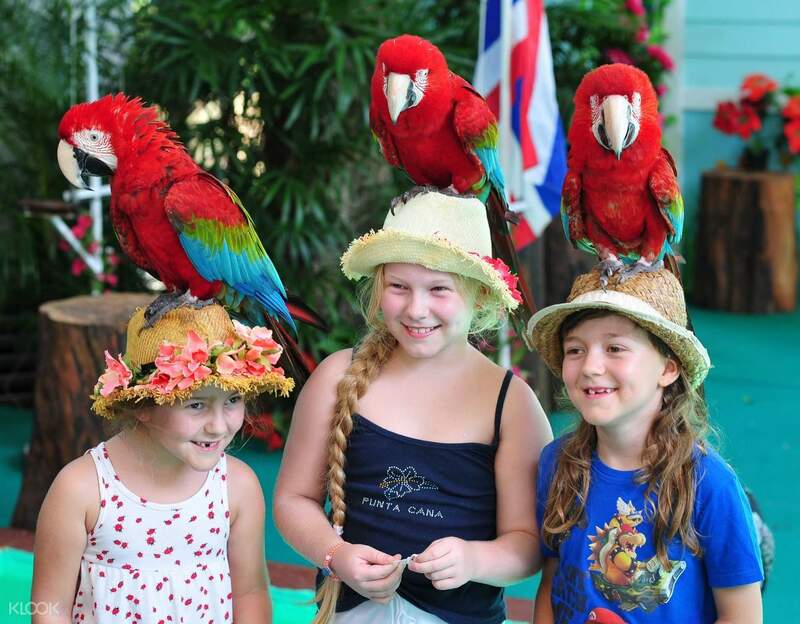 You can have your photo taken with some of the bigger birds, like the Macaws for 200TBT and will be provided with a Polaroid photo. The park is steep in areas, so wear good walking shoes. The bird show was impressive and interactive, but again you may need extra money to experience up close encounters. At the end our kids enjoyed feeding some enormous fish. We would recommend this park. Love the bird show :) it was fun and interesting, the birds are intelligent and smart.. Love the bird show :) it was fun and interesting, the birds are intelligent and smart..